The Children’s Home of Cincinnati, founded in 1864, began as a shelter for poor and abandoned children throughout Cincinnati. Today, the organization includes more than 20 centers and community-based programs, providing social, mental, and behavioral health services for children and families throughout the region. 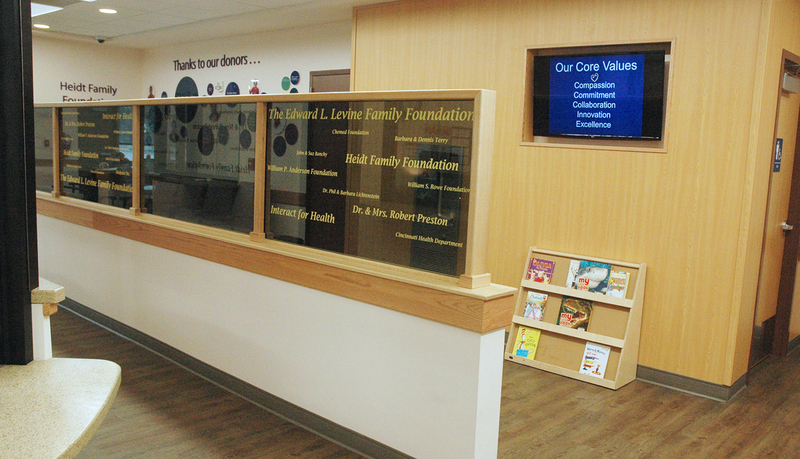 The Levine Family Health Center opened in 2016 as part of a partnership with the Cincinnati Health Department, Cincinnati Public Schools, Interact for Health, and Growing Well. ASI Cincinnati has collaborated with the Children’s Home on previous projects and has developed a longstanding relationship with the organization. 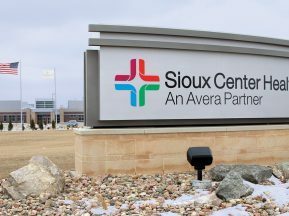 The Children’s Home partnered again with ASI to design, produce and install donor recognition signage, exterior wayfinding signage and interior room ID & directional signage. 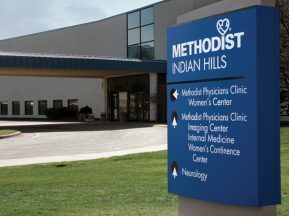 The Children’s Home logo consists of vibrant yellow and purple colors, which were utilized in the signage design throughout the building along with adding new vivid colors to the palette. This playful color scheme enhances the organization’s brand and creates a welcoming space for families. 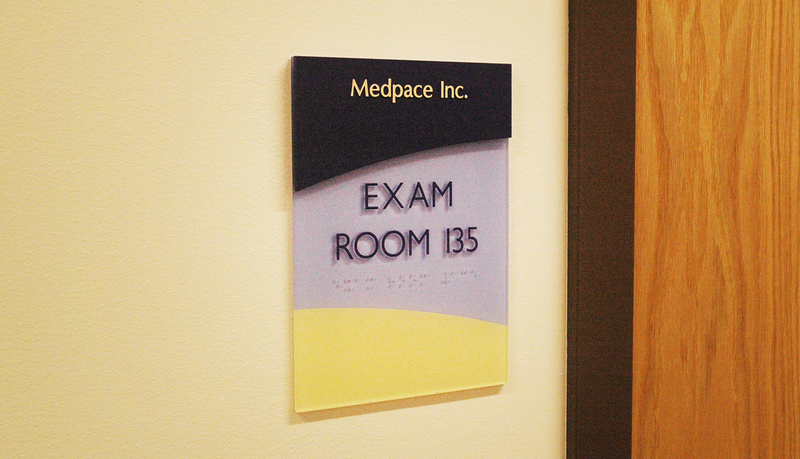 Donor Signage: Recognizing the many donors who brought the project to fruition was a main goal of the program. 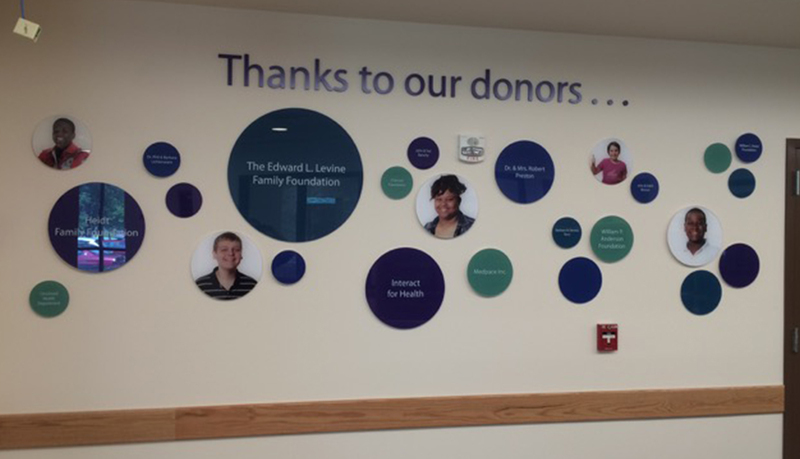 Donors were recognized through a digitally-printed wall mural, individual door IDs, dimensional elements on a donor wall, lettering in designated spaces, and silkscreened copy on the glass partition above the seating area. One challenge was to make a system to which future donors could be added. 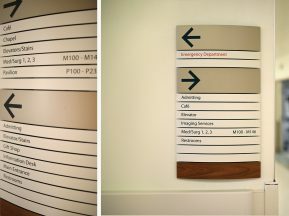 Both the room IDs and donor wall were designed so that panels could be added easily and without altering the initial design intent. Wayfinding Signage: It was also important that the center be clearly identified to the public. This new space was incorporated into an existing building. 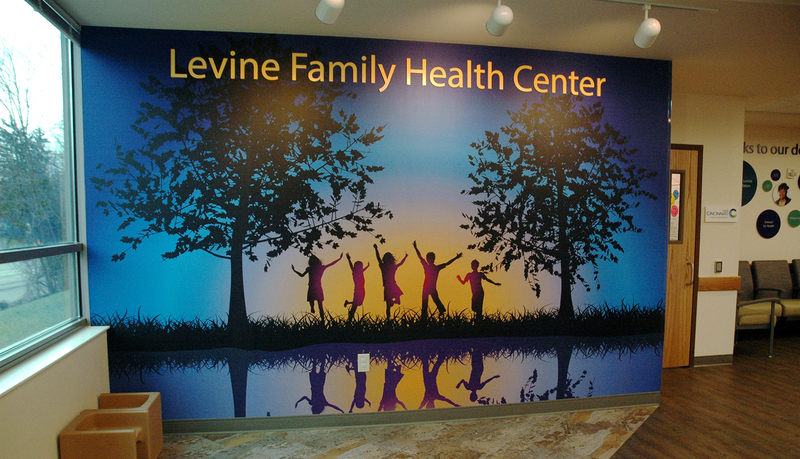 As such, directional and destination signage was necessary to lead the public to the Levine Family Health Center with ease. 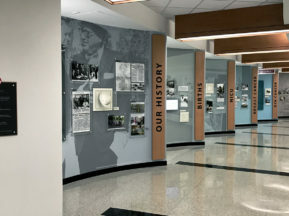 ASI Cincinnati conducted an analysis of the site to determine the most effective wayfinding system, which needed to be highly visible to the public and many visitors that regularly traverse the campus. ASI Cincinnati built upon their strong relationship with the Children’s Home by assisting the non-profit with signage design, fabrication, and install prior to the facility’s grand opening.